The third and final “next-gen” console has now been released unto the masses in North America. 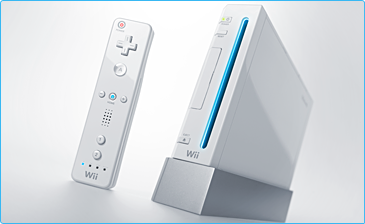 The Nintendo Wii, complete with it’s much hyped revolutionary use of motion sensing controllers or wiimotes is now available in abundance unlike it’s counterparts which were in short supply during their launch window. I am very excited about the wii and because of it’s price and availability I am looking forward to owning one by the end of the year. Over 30 titles are expected to be available for the wii between launch and the end of the year. The most exciting on wich being the new Zelda: Twilight Princess which is selling at almost a one to one ration with the system. Other popular titles include Red Steel, Dragon Ball Z: Budokai Tenkaichi 2 and Super Monkey Ball: Banana Blitz. Here are some headlines related to the new Nintendo Wii over the past few days. WiiConnect 24 Update Breaking Systems?